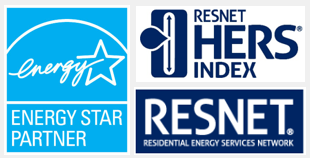 RESNET stands for “Residential Energy Service Network”. It was created in the early 1990’s as a result of work from the various national laboratories, the mortgage industry and the Federal government on reducing the amount of energy consumed by residences. Basically its a set of “Standards” used to compare an existing, new or spec home to a home built to current building codes. This allows you as the builder, to verify how the home will perform based on efficiency, safety, durability and sustainability. Once the home is completely evaluated, it will be given a “HERS Index Rating”. 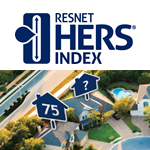 What is a HERS Index Rating? Good question…..the HERS Index Rating is derived from a scale. The HERS Index Scale is based on two set points, 0 and 100. 0 is a home that uses “Net Zero” energy provided by 3rd party power companies. You may have heard of a “Net Zero Home”. A Net Zero Home produces as much energy as it consumes. A Net Zero Home would get a HERS Index Rating of 0, which is the best. The second set point on the HERS Index scale is 100. This would be considered the level for a home built to Code (also called the “Reference Home”). 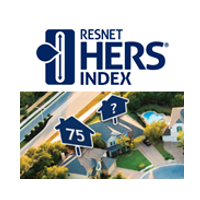 These two set points give us a baseline to compare the Reference Home to the home that is receiving the HERS Index Rating. 1 point equals a 1% change in energy consumed. For example, say a home gets a HERS Index Rating of 80. This home is assumed to use 20% less energy compared to the Reference Home (100 on the HERS Index Scale). It’s also assumed that it uses 80% more energy than a Net Zero Home (0 on the HERS Index Scale). Another example would be a home that receives a HERS Index Rating of 125. This would assume that the home uses 25% more energy than the Reference Home and 125% more energy than a Net Zero Home. What is behind the HERS Index Rating? You may be thinking “where does this rating number come from?”. Here at GreenEdge, we use a program called REMrate. 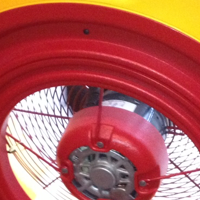 This program was designed by leading industry engineers at a company called Architectural Energy Corporation. This is a very detailed software program, which allows us to model a home into detailed sections based on what products and construction practices were used. 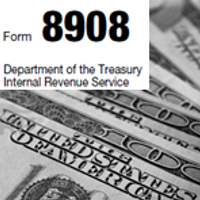 The program also allows us to generate a number of reports based on what information you are looking to obtain. We proudly serve Grand Rapids, Holland, Zeeland, Caledonia, Byron Center, Grandville, Rockford, Ada, Kentwood, Wyoming, Hudsonville, Comstock Park, Sparta and Grand Haven in West Michigan. 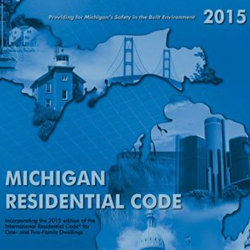 This would include but not limited to Kent, Ottawa, Allegan and Muskegon Counties. 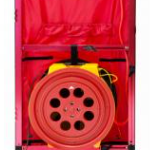 Failing a Blower Door Test: What happens? © 2011-2019 GreenEdge of Michigan. All Rights Reserved.